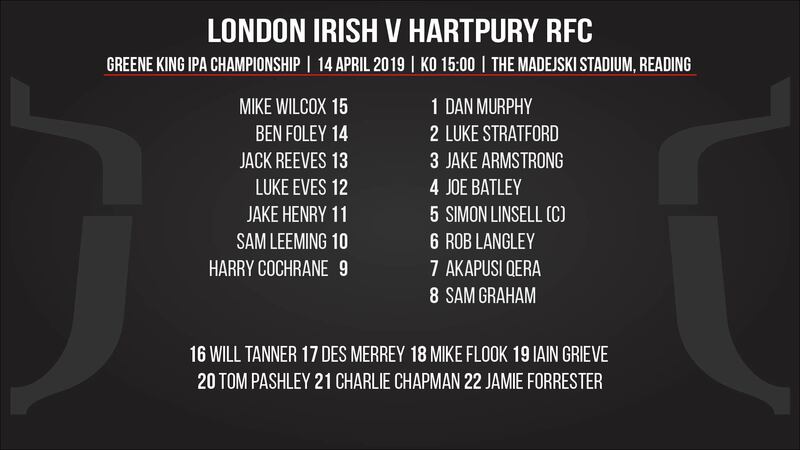 Hartpury – with four wins in their past five outings, including victories against two of the current top four – have named a reasonably settled selection for Sunday’s trip to promotion-chasing league-leaders, London Irish. Luke Eves is available again and comes into the midfield where he is joined by England age-group centre, Jack Reeves. Sam Leeming will hope to continue his good run of form at fly half and is joined by Harry Cochrane at 9, where he performed with distinction in his most recent start in the excellent win at Jersey. The back five forwards show just one change – on the blind-side, where Rob Langley replaces the unavailable Alex Craig. The game is to be played on Sunday and kicks off at 3pm.